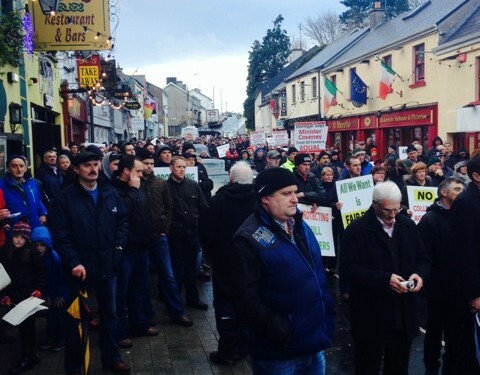 Commonage farmers protest in December. A new national farming organisation is being set up and it aims to represent marginalised and low income farmers. It hopes to attract up to 20,000 farmer members. The new organisation, which has yet to be officially named, grew from recent GLAS, hill farmer and commonage issues. A spokesperson for the committee, Colm O’Donnell, said a committee has being formed which comprises of farmers from lowland, hill and those with designated land to work towards the launching of an organisation by the end of February. 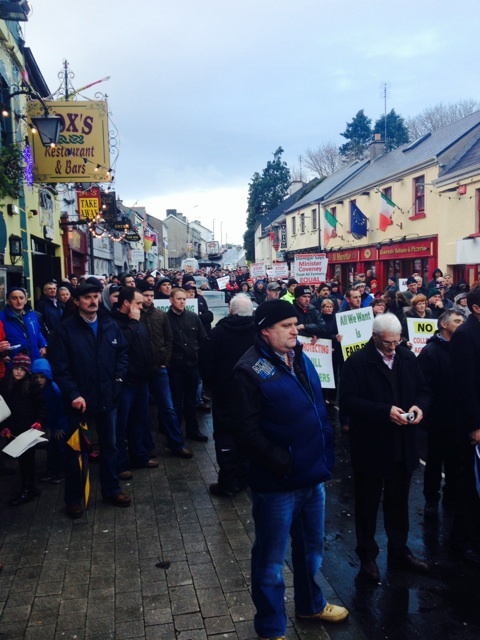 He said a meeting took place last night, Sunday, with farmers from a number of counties meeting in Westport. Some 40 core members from Donegal, Leitrim, Sligo, Mayo, Galway, Waterford and Tipperary met in Westport and established a steering committee which will put a structure in place for the organisation over the coming weeks. Colm O’Donnell resigned his positions as National Rural Development Vice Chairman and County Rural Development Chairman with the IFA, last week. In recent months 2,000 disgruntled farmers picketed the Taoiseach’s office in Castlebar and, according to Colm, the steering committee has contact details for 4,500 farmers who attended the meetings late last year. “Farmers have looked for a new organisation and said they are not happy with the representation that’s there at the moment,” he said. He said the new organisation will be non political and will be driven by policy and its strength will be the people who join the association. “We have no intention of running candidates in upcoming elections,” he said. Members of the steering committee are travelling to Brussels this week for a meeting on ongoing issues it has raised at European level.